At its core, a makerspace is a place where creative people can gather and work on projects. It’s a workshop, providing tools and equipment for members, along with storage space for larger projects. Launchspace’s mission extends beyond the traditional definition of a makerspace. We are also committed to helping makers who want to start their own business and those interested in learning technical skills that could be used in real-world jobs. Our upcoming grand opening will be for our makerspace, with a phase two of the project in the works. How will LaunchSpace benefit the North Quabbin region? LaunchSpace is meant to be a project-oriented environment. It’s a place where anyone with existing skills can go to work on projects that require more space than they have at home, or tools that they don’t normally have access to due to space or budget issues. It’s a place where people who don’t have existing skills can go learn from more experienced craftsmen (and women). The goal is to create an innovative environment that produces maker-based businesses to help the revitalization of the North Quabbin region, specifically our hometown of Orange. In the coming months, LaunchSpace hopes to offer technical training in partnership with local businesses and community colleges. It’s just another way we hope to improve the community through education, creativity, and providing the right tools to help innovators thrive. Is LaunchSpace owned by the Orange Innovation Center? No, LaunchSpace and the Orange Innovation Center are two different entities. LaunchSpace is a 501(c)(3) organization that rents space in the Orange Innovation Center, just as many other area businesses already do. In the spirit of keeping with the Orange Innovation Center’s mission, we do collaborate with other makers already housed in the OIC building. What equipment will you have in the space? When we open in Spring 2018, we will have workshop space for woodworking, metalworking, blacksmithing, robotics/IT, glassblowing, pottery, textiles, and digital photography. Once we know exactly what pieces of equipment will be in the final space, we will post an updated list of what potential members can expect to find when they stop by. What classes will be offered at LaunchSpace? When we open in 2018, we hope to offer 101 level classes for our main workshop areas: woodworking, metalworking, blacksmithing, robotics/IT, glassblowing, pottery, textiles, and digital photography. As our membership grows, we will expand our offerings for more experienced community members. Do I have to be a member to take classes or workshops at LaunchSpace? No, although we will likely offer discounted rates on classes and workshops for LaunchSpace members. How do I sign up to be a member of LaunchSpace? 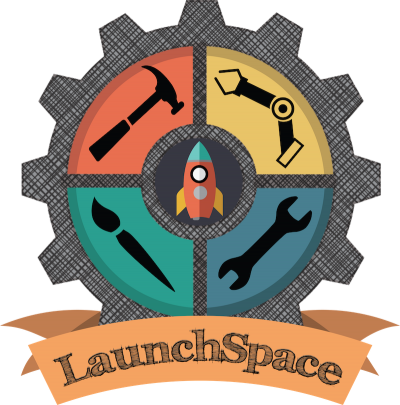 If you are interested in being a member of LaunchSpace, click here. We’ll add you to our mailing list so that you’ll stay up-to-date on the space renovations and be the first to know when we will begin accepting paid memberships. Right now, we are scheduled to open in 2018. Yes, we will need volunteers to help build out and help with tasks at LaunchSpace. If you are interested in volunteering, please click here to fill out our sign-up sheet and indicate that you are interested in volunteering. Yes, we will definitely need teachers. If you are interested in becoming a teacher in the areas of woodworking, metalworking, blacksmithing, robotics/IT, glassblowing, pottery, textiles, or digital photography, please contact sean@launchspace-orange.com. Can I donate old tools/equipment/money/gift cards to LaunchSpace? Yes! If you are interested in donating tools, equipment, supplies, or gift cards, please email us at donations@launchspace-orange.com. Donations can be made on our website here, or on our Facebook page here. You received a $250,000 grant, so why are you asking for donations? While $250,000 is a lot of money, it doesn’t begin to cover the cost of opening a functioning makerspace. The $250,000 will all go towards the renovation of the actual space – replacing windows, making electrical changes, installing HVAC, and generally making the space habitable for our purposes. In addition, we will still need to purchase or receive donations of equipment and supplies in order to make LaunchSpace a reality. How can I stay up-to-date on the progress of LaunchSpace? The best way to stay up-to-date on LaunchSpace’s activities is to sign-up for our newsletter. We’ll keep you posted on build-out news as well as calls for volunteers and teachers. Another great way to keep track of our progress is to follow us on Facebook, Instagram, or Twitter. Can I stop by to see the space? We are glad to show people around the space but prefer that you contact us for a tour. 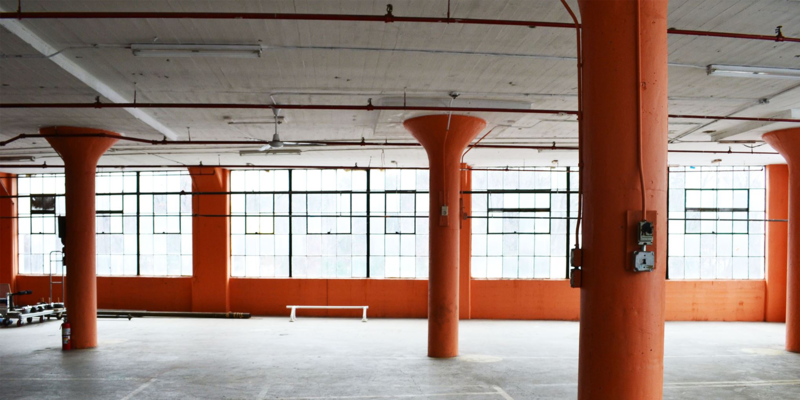 If you are interested in seeing the space, please email us at info@launchspace-orange.com to schedule a time. Bringing LaunchSpace into existence is a large project. We are extremely proud that we have received the funding that will make it possible for our makerspace to open in the coming months. We have had many questions from the community about LaunchSpace and want to be as transparent about our project as possible. If you have a question that is not answered here, please feel free to email biranna@launchspace-orange.com for further info. © LaunchSpace 2017. All Rights Reserved.